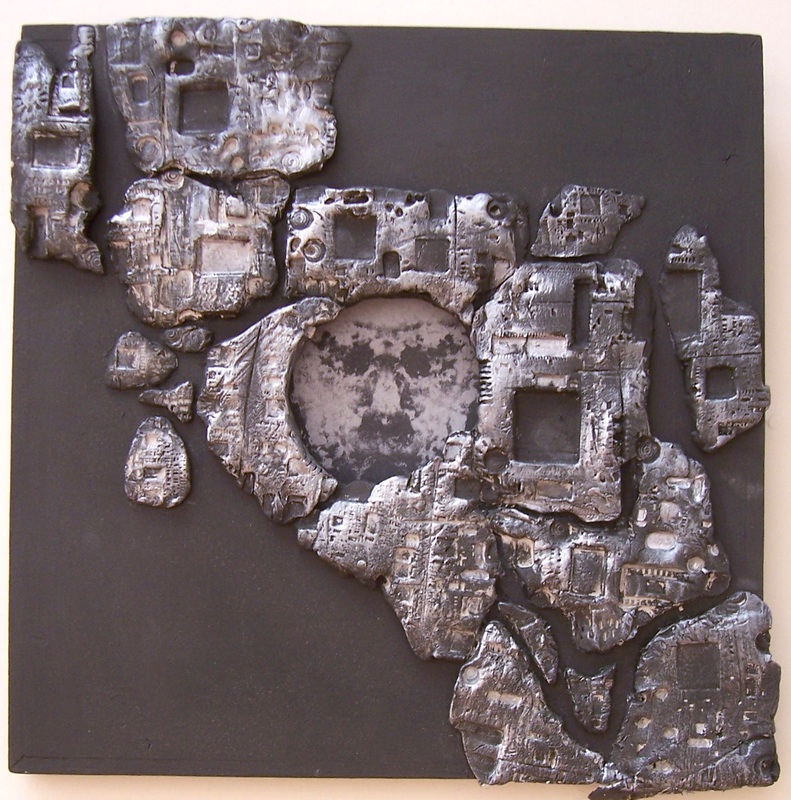 This piece was made using modelling clay pressed into computer ‘Mother Boards’, when hardened the pieces were assembled onto a square of mdf board which had a hole cut into the centre. The whole was painted in a almost black colour and brushed over with silver. At the back of the hole is a print of a human face which had been distorted to look almost human. This work is intended to question our fears about & interaction with technology in the 21st century and where it will lead in the future. There is something ‘uncanny’ too about these images which play on the effect of meeting one’s own image unbidden and unexpected. The possible disquiet aroused by looking at some of this face is related to what is frightening – to what arouses dread and horror; how dreadful then to gaze upon a face that has lived and is as a consequence of the length of that life, close to its end. 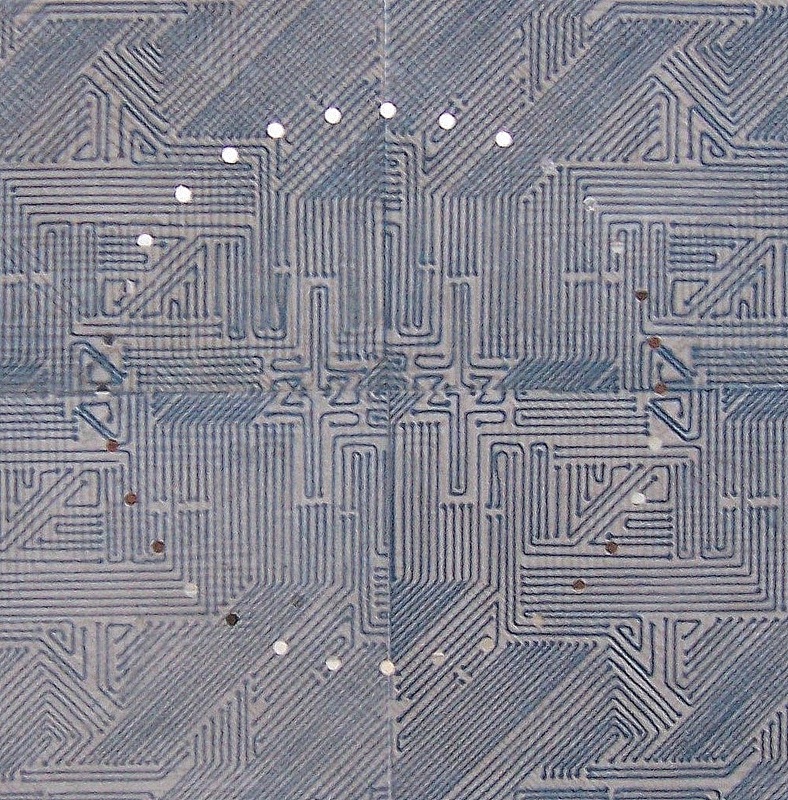 A double-sided Relief Solar Plate Print onto Japanese Kozo paper with circular perforations allowing an interface between the ‘real’ world and computer mediated technology.